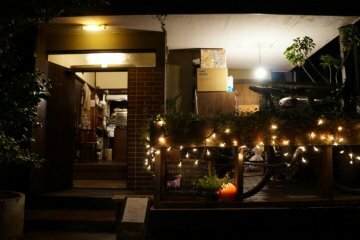 Shirohige's Cream Puff Factory (白髭のシュークリーム工房) is a cute and cosy café bakery in the Setagaya/Shimo-Kitazawa area of western Tokyo. 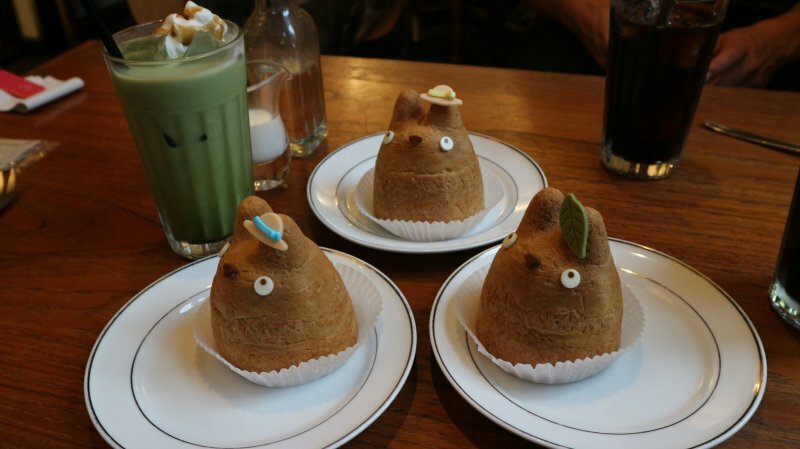 They serve up delicious Totoro cream puffs – one of Japan’s most beloved anime characters, which makes this one of Japan's secret attractions for Studio Ghibli fans. Why visit Shirohige's Cream Puff Factory? 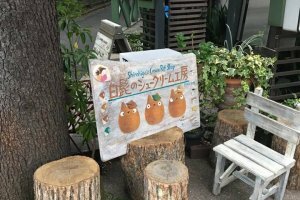 Shirohige's Cream Puff Factory is actually officially recognised by Studio Ghibli, making it a one-of-a-kind bakery and definitely worth seeking out by anime fans. 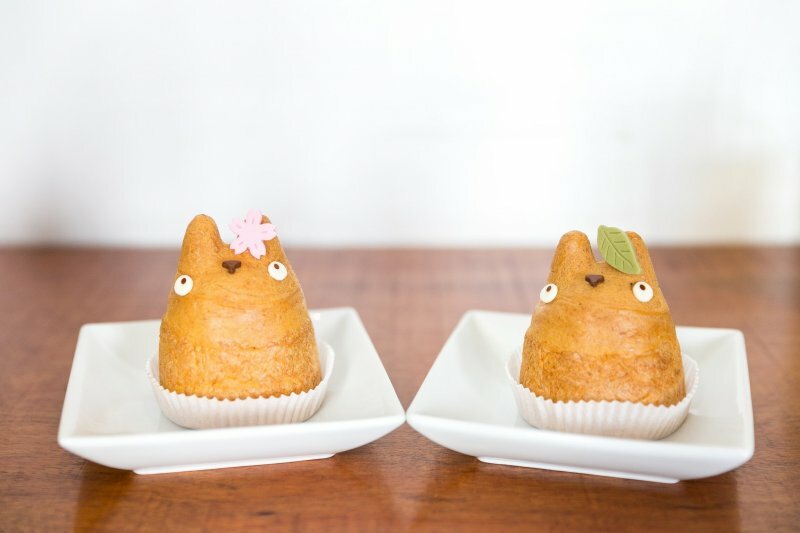 The cafe/bakery owner is actually the sister-in-law of famed Studio Ghibli founder/director, Hayao Miyazaki, which gives them the right to produce their Totoro-themed treats. It makes Shirohige unique quite simply because no other café has cakes quite like those on offer here. When approaching the café, it almost feels as though you are stepping into the world of My Neighbour Totoro's Mai and Satsuki - it has such a warm feel to it, welcoming you into the wonderful world of Totoro and his friends. 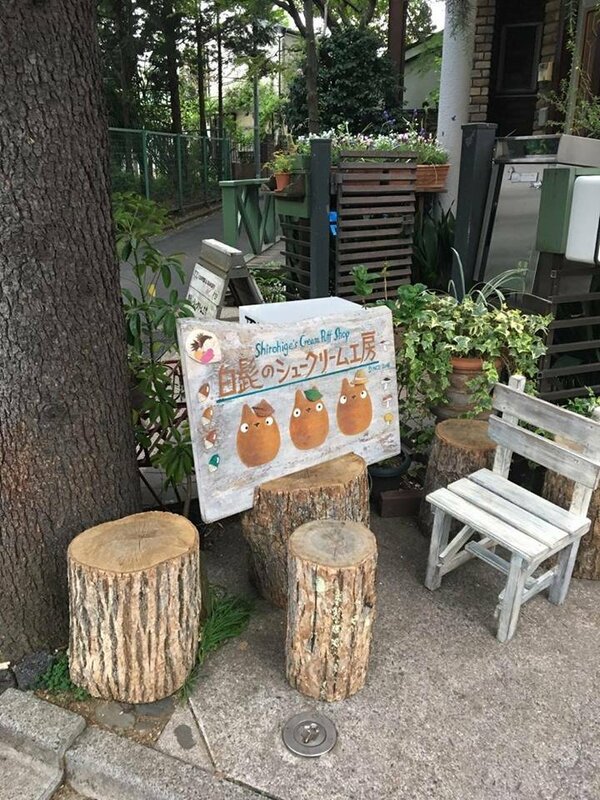 Once inside, you can continue through to the bakery located downstairs where they sell homemade Totoro cookies and other goods which you can purchase as gifts. 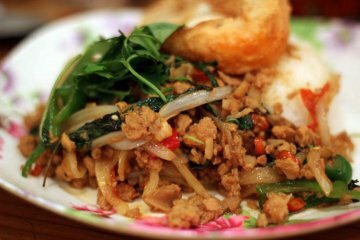 Lovely, original treats are sold here which you will not find anywhere else. If you head upstairs, you are welcomed into the comfortable, atmospheric café where you can rest, relax and have a chilled afternoon drinking tea with friends while enjoying the cream puffs. 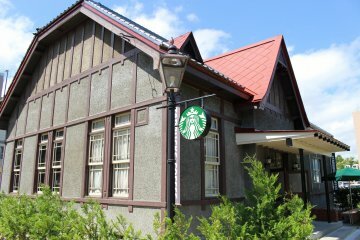 This is TOLO Coffee & Bakery which, alongside Totoro cream puffs, serves a range of pasta dishes. The cream puffs themselves cost ¥500 which is a very good price for these original and unique cakes. 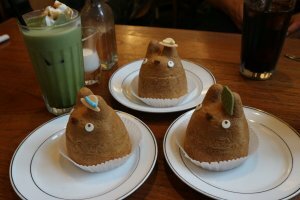 It is important to stress, the Cream Puff Factory's website does ask you to make a reservation in advance, telling them which flavour cream puff you would like and how many because of the high demand for these little Totoros. This can be a complicated process if you are a traveller as the website is in Japanese and their contact number is Japanese. However, I believe it would be possible to go into the café a couple of days before to make a reservation or sometimes they may (emphasis on the 'may') have enough cream puffs on any chance visit, but it is always best to book in advance given the café's popularity. 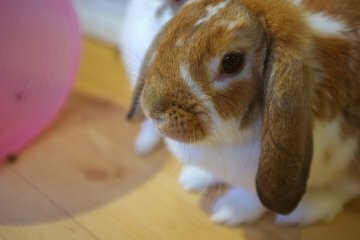 I was going to visit spontaneously one afternoon with a Japanese friend of mine and we hadn't booked - when she called around 2pm, all the cakes had already gone. 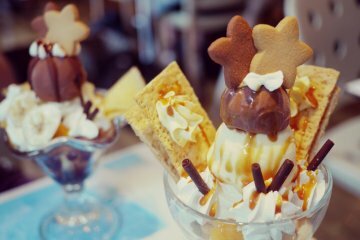 In terms of flavours, three are offered: custard, chocolate and caramel banana. In the end, I visited here with two friends, one whose first time it was in Japan so we had one flavour each and they were all just delicious. Only problem is they are too cute you don't want to take that first bite! My friend and I spent about 15 minutes just trying to capture a good photo of these aesthetically pleasing cakes. 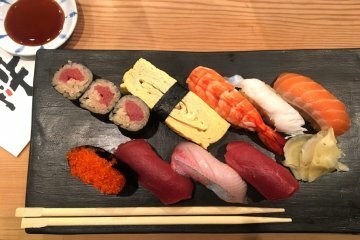 Like every other restaurant in Japan, the service is wonderful. The staff are very welcoming. The Cream Puff Factory was an amazing experience and it is especially good for someone who is coming to Japan for the first time as it is not yet as well-known as Studio Ghibli's official museum itself. 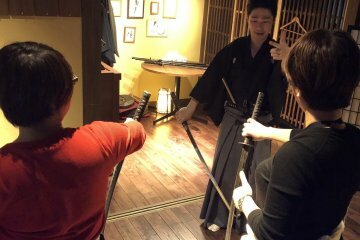 Given its unique location and concept, if you are near the Shibuya/Shimokitazawa region, definitely check this place out! Shirohige is a 2 minute walk to the north-east of Setagaya-Daita Station (Odakyu Line), or a 7 minute walk south-west of Shimo-Kitazawa Station (Odakyu Line, Keio-Inokashira Line). A second branch has also opened in Kichijoji, selling a limited edition Catbus sandwich biscuit for ¥600. 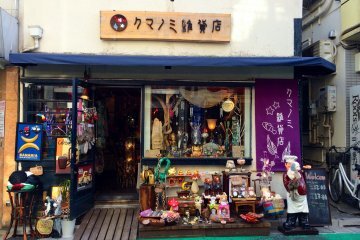 This second location is a 4 minute walk south-east of Kichijoji station. An aspiring Japan Travel Blogger. Studying History and English at university. Currently living in the UK. Born in Yokohama.